It’s been a busy period for all of us at Anderson & Sheppard. Many new orders in the pipeline and one in particular caught my eye so let me take you through what happens in the cutting room. 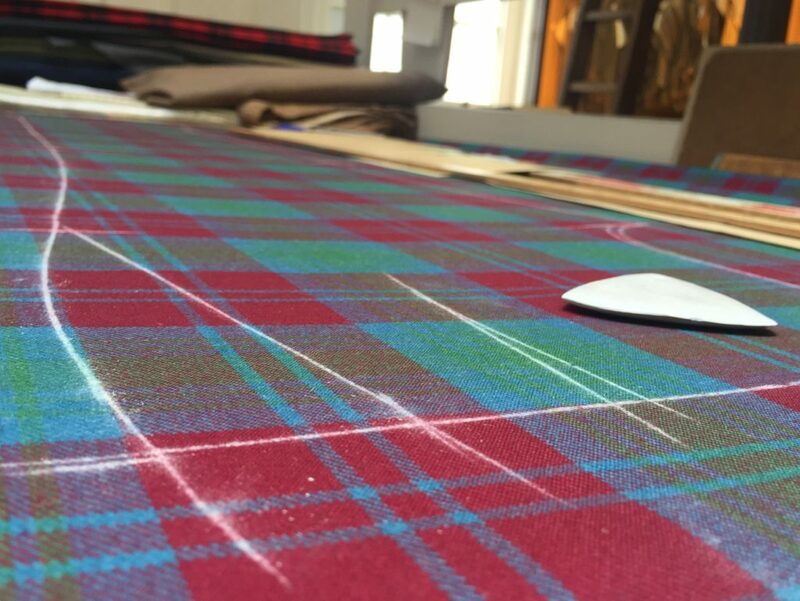 Over the last few days we received an order for a pair of tartan trousers. As this is a more complex job to cut I thought I could share my experience. 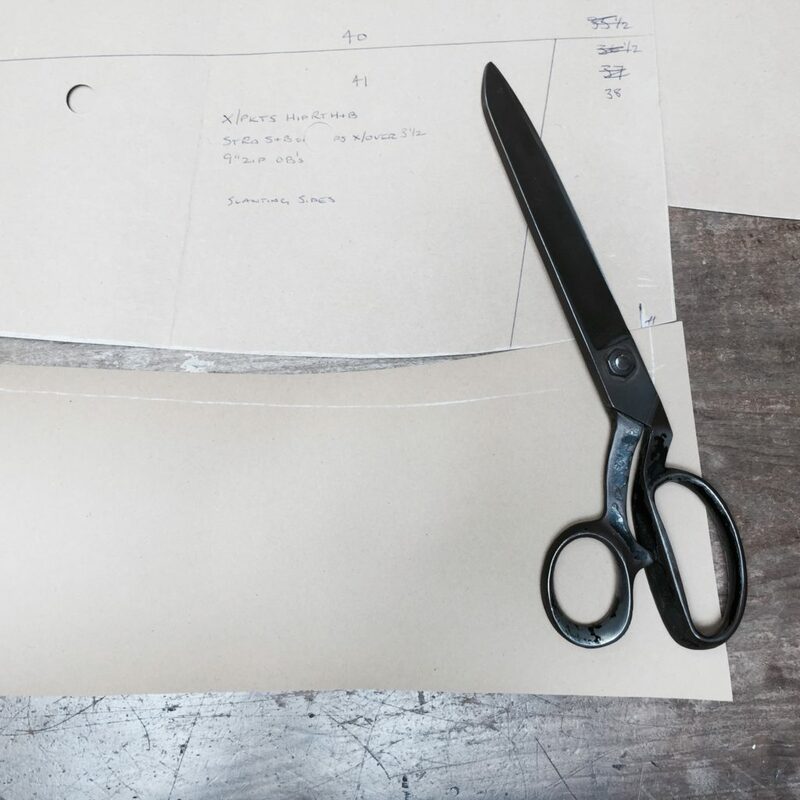 Once a customer selects their cloth of choice, an order is placed and sometimes it is necessary to check measurements. This is done if a customer’s configurations have changed. The pattern is then altered and a length is given. This procedure requires an economical arrangement of pattern pieces, bearing in mind things such as; type of cloth used and all the required fit up. I say this because some cloths tend to have a nap or a pile- interlaced secondary yarn that creates a fuzzy surface which is often easily spotted on velvet and corduroy. If so, this means that it has to be cut one way in order to prevent any shade differences. For any of you who are wondering what a fit up is; whilst arranging the pattern a cutter would allocate space for all elements of construction. In relation to trousers, this would cover: waistband, pocket facings, fly, loops or straps, jetting’s and so on. 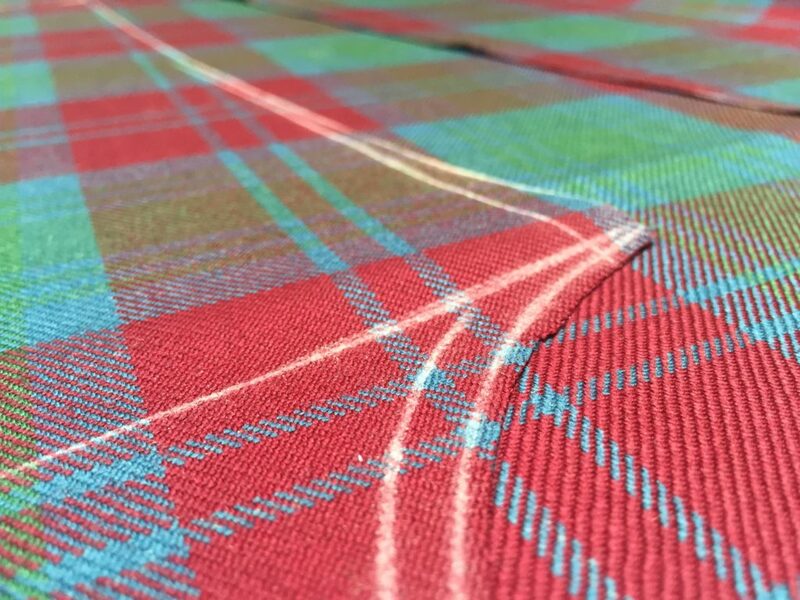 One of the most important aspects when cutting a checked cloth is to match it on both the top side and underside. This might seem simple, however more often than not the top layer of cloth has to be shrunk as the checks are not matching exactly as they should be. Shrinking is done by pinning the top layer of cloth to the bottom in the ideal place. By using steam, puckers are shrunk and this may take some time and patience but it is possible since wool fibers react to steam. Once the job is cut it is than trimmed and ready to be given to one of our trouser makers.